Above: The Harelli family. 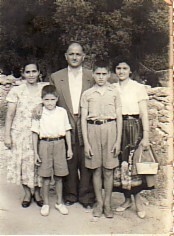 With my parents, Irini and Grigorios, and my brothers, Georgios and Konstantinos. Above Right: Celebrating Independence Day, 1958. 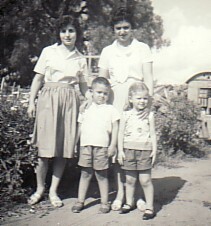 L-R: Irini Kasolli, Pipitsa Mamakou, Frangoula Kara nad myself. Above: Friends and family. 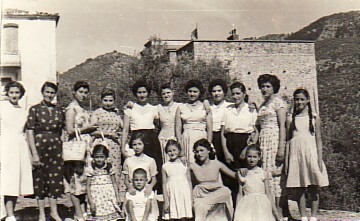 In the top row from left are: Irini Fotinou, my aunt, Irini, Mary sarelli, Despina Vasilina, my aunt, Aspasia, Agathi, myself, my cousin, Rinoula Koutsamani, Panagiota Giannarou, Rinoula and Roula Fotinou. 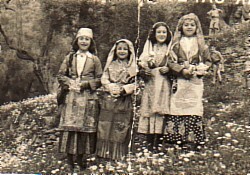 In the front row are: Giouli Fotinou, Georgia Hatzimaestrou, Harilkia and Mersini Harelli, and Mersini Hatzimaestrou. The boy at the front is my brother, Panagiotis. 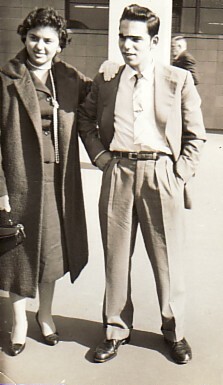 Above Right: With my brother, Kostantinos. 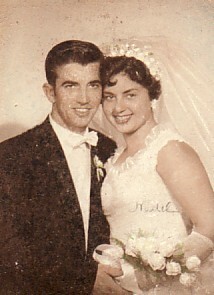 Above: With my husband, Nikolaos, on our wedding day. Above Right: Ariah Park, 1962. With my sister-in-law, Dimitra Harelli, my children, Dimitrios and Irini, and my nephew, Grigorios (middle). 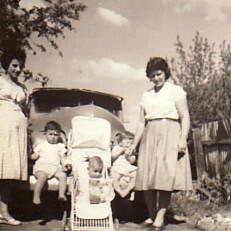 Above: With my sister-in-law, Persa Harelli, and my children, Dimitrios and Irini. 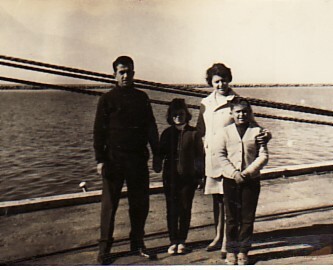 Above Right: With my husband, Nikolaos, and our children, Irini and Dimitrios.